What is your communication plan for open enrollment? 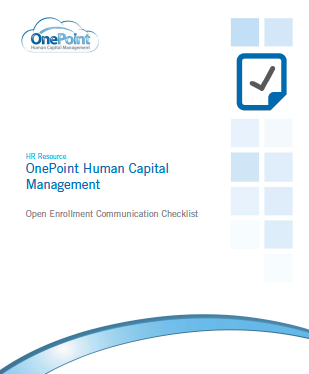 To prepare for the open enrollment season, OnePoint HCM presents a list of questions to assist in your communication and compliance obligations. Use this checklist to organize your communication strategy for employees.